So it seems that latex and pdflatex are in fact the same. But obviously they are not. latex produces dvi files and pdflatex produces pdf files, just as they are supposed to. This question was raised before as a "how question": How can latex and pdflatex be both symbolic links to same executable (pdftex) and not behave the same? to which the answer is argv. But why? Why are the programs packaged in the same binary and with the same versioning data? I don't think I've encountered this kind of approach anywhere else--it just seems so hacky. Why not maintain separate executables instead of a single executable with an argv switch-case? It is no different to asking why two java executables use the same java runtime. plain tex and latex both need a tex engine to execute the code, they differ in which format file (ie a memory dump of definitions) they load. 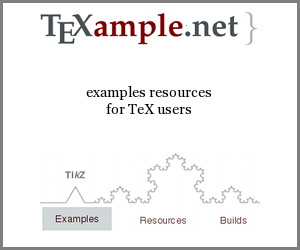 Classically that was specified by a commandline argument tex &plain v tex &latex but as a convenience web2c implementations can use the program name to default the format. Similarly the output format (dvi or pdf) can be specified on the command line (or using tex syntax within the file) but the program name can be used to default it. use commandline arguments to produce dvi files using pdflatex. It is just that --output-format gets a different default if the command name is latex. What are the differences between TeX counts and LaTeX counters?